The Illinois Department of Transportation is responsible for ensuring that state roads, streets, and highways are safe for motorists and commuters using public transportation, riding a bicycle, or walking. To do this, the State hires roadway maintenance workers who repair potholes, install signage and remove roadway debris. If you or a family member was injured while working at llinois Department of Transportation (IDOT), you are likely entitled to workers compensation benefits. Contact the workers compensation attorneys at Rosenfeld Injury Lawyers LLC for more information and a free review of your legal rights and options. Today, the AFSCME is America’s fastest-growing and largest public service employee union with over 1.6 million members (retired and working). The diverse public employee union members work in numerous occupations including road maintainers, corrections officers, sanitation workers, emergency medical technicians, nurses, child care providers and others. This includes Illinois Department of Transportation highway maintenance crews and transportation workers who build, maintain and operate the state’s transportation systems. Working on a roadway maintenance crew is a dangerous occupation even under the best conditions because workers must often perform their duties within inches of motorists speeding past an area temporarily under construction or repair. The number of individuals killed every year in motor vehicle accidents that happen in work zones has risen substantially. Out of the more than 40,000 serious accidents that occur in work zone areas every year, many involve roadway maintenance crews and road construction workers. Illinois Department of Transportation workers are taught “safety on the job” and what to do before stopping their vehicle on a state highway to make repairs or perform maintenance. Typically, some safety measures include increasing the vehicle and worker’s visibility and using roadway cones to direct the motorist to slow down. Roadway crews are taught to pull off the road completely when possible when installing or repairing signs, picking up trash, filling potholes, and other work performed in a temporary work zone. Unfortunately, accidents involving Illinois Department of Transportation roadway maintenance crews occur at an alarming rate. Any time an IDOT worker is driving in a state-owned truck or performing repairs and maintenance on the roads and roadsides on behalf of the State, they are at extreme risk of injury or death. The hazard of working on the road is often generated by traffic congestion, excessive speed limits, and impatient drivers who are stressed, agitated, and restless while waiting in traffic, driving at slow speeds or traveling under adverse weather conditions. Distracted driving when motorists use smartphones, send text messages, read email, converse with occupants, eat, drink, groom, or use electronic devices like GPS navigational systems. Inattention when the driver fails to focus on work zone signs and “flag workers” directing traffic to slow down or stop to ensure workers in the temporary work zone area remain safe from harm. Inadequate signage where motorists fail to notice road workers due to poor lighting or missing speed limit and yield signs. Failure to obey signs when motorists attempt to move out of the lane under construction or repair before it is too late. This reckless behavior endangers the lives of roadway maintenance crews. 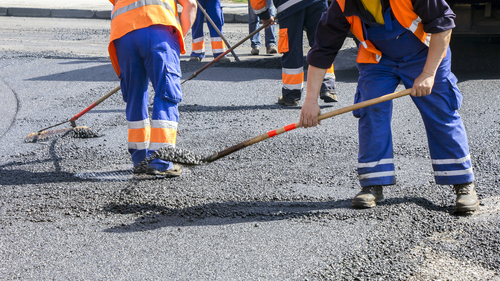 Over-exertion is a serious problem for state road maintenance crews, especially during the hot and cold months of the year when working long hours in extreme temperatures can lead to significant injuries. Below is a sample of accidents, injuries, and fatalities involving full-time and temporary highway maintainers working for the Illinois Department of Transportation. DeKalb County, IL [February 4, 2017] – Charles Chrome, a DeKalb County IDOT worker, suffered injuries requiring hospitalization after being hit by a semi tractor-trailer just east of Malta Road on Route 38 in the morning hours of February 4, 2017. At the time of the incident, the 61-year-old worker was parked in an IDOT vehicle in the road while roadway repairs were underway. EMT responders transported the victim to the Kishwaukee Hospital for treatment. Woodstock, IL [August 2011] – An Illinois DOT worker died on the morning of August 22, 2011, after being struck by a vehicle in Woodstock, a northwest suburb of Chicago. The 34-year-old Kenosha, Wisconsin Illinois DOT maintenance employee Ryan Nichols was hit and killed in traffic by a Mercury Grand Marquis that was driven by a Woodstock resident driving westbound on Route 14. Just before hitting the IDOT worker, the driver of the car made a left turn onto Route 14. Paramedics for the Woodstock Fire Rescue District transported Nichols to the Woodstock Centegra Hospital where he succumbed to his injuries. 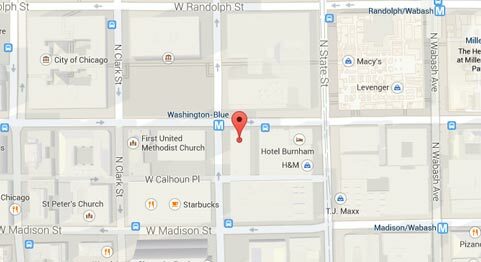 Washington Park, IL [February 2016] – A stranded driver and an Illinois DOT worker were hit by a passing vehicle near Route 111 and I-64 at approximately 2:00 PM on February 10, 2016. EMT responders transported both victims to the local area hospitals. The crash occurred when the motorist drove on the ramp before losing control, sliding off the road and hitting both the worker and stranded driver. Representatives for the local area hospital reported that the 39-year-old stranded driver and 52-year-old Department of Transportation worker suffered serious injuries. Stark County, IL [February 2014] – A 49-year-old part-time IDOT worker was killed in an accident while operating a snowplow in Stark County during late morning hours. The Illinois Department of Transportation worker had been a part of the winter operations team for five years. The crash occurred on Illinois Route 17, two miles west of Toulon. Issue radio and press releases to inform the public of roads in the area that are temporarily under repair. Use traffic controlling devices to coordinate construction traffic movements in the traveling public. Place traffic control workers in strategic locations for visual contact or use two-way radio communication to move traffic safely through the temporary construction zone. Controllers must wear conspicuous clothing that is easily detected by passing motorists. Lower traveling speed before and in the construction zone that is limited to a speed that is consistent with safe traffic movement and site operation. Avoid posting needless and redundant roadway markings and traffic control signs in the area approaching the temporary roadway construction zone to avoid confusing the motorists. If you have been injured on the job while working as a state employee, it can be frustrating and overwhelming when attempting to navigate through government agency bureaucracy to receive financial recompense you deserve. For you, it is likely challenging to understand Illinois tort laws and comprehensive state regulations that limit the amount of financial compensation you can obtain for your damages, injuries, and losses. We encourage you to contact our state employee injury attorneys at Rosenfeld Injury Lawyers LLC to discuss how we can handle every part of your case. Our attorneys have extensive experience in practicing law in pursuit of obtaining fair monetary compensation on behalf of our clients. We provide our services through a contingency fee arrangement, meaning we will not be paid until you obtain your compensation through a negotiated out-of-court settlement or jury trial award. We will work aggressively on your behalf to defend the truth about how you were injured and hold the Illinois Department of Transportation and any other defendant responsible for their negligence.